A well-preserved fossil of primitive lemur Darwinius masilla, nicknamed Ida is believed to represent the point from which the group of monkeys, apes and humans (anthropoids) evolved. The fossil lacks the traits which characterize a modern lemur, a non-human primate. 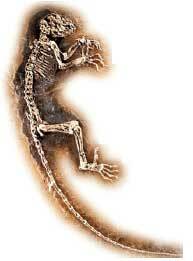 Instead it has a bone in the ankle that has a human-primate shape and it has thumbs, toes and fingernails, not claws. This find has been reported in the May 19 issue of PloS One and is being regarded as the missing link between human-primates and non-human primates. However, this has created a controversy as some scientists are of the view that sufficient number of mixed characteristics do not exist for it to represent the divergence point of the two types of primates. Projections by Massachusetts Institute of Technology, usa, suggest that the temperature rise due to global warming might be double of what was earlier predicted. The increase could be as much as 5.2C against the rise of 2.4C calculated earlier. This could further increase the risk of loss of species diversity and lead to more frequent weather events like heat waves, droughts, floods and cyclones. The projections, published in the May issue of the Journal of Climate, indicate a 90 per cent chance of the temperature increasing between 3.5C and 7.4C during the next 100 years. A wounded termite with its gut spilled out was recently found embedded in a 100 million year old piece of amber. The presence of a range of protozoa in the alimentary canal of this termite is the oldest example of "mutualism". The study published in a recent issue of the journal Parasites and Vectors said that the protozoa helped the termite digest the cellulose in wood which is a big part of its diet. They secreted the enzymes aiding in digestion and in turn got shelter within the termite's body. A decade-long study on shrimp in the North Atlantic Ocean shows that climate change might claim yet another casualty. To survive, the shrimp evolved its mating habits so that their larvae hatch at the beginning of phytoplankton blooms during spring. The phytoplanktons are food for the shrimp. The spring bloom depends on the surface temperatures and sunlight while the hatching of shrimp larvae is dependent on the shallow bottom water temperatures. Any abrupt change in the temperature conditions would lead to disruption of the synchrony and threaten the shrimp populations. The study, published in the May 8 issue of Science, suggests that shrimp could serve as early indicators of changing climate. 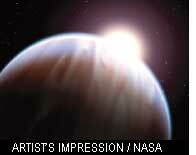 nasa has developed a method to look for planets with water, called extrasolars. This could aid in the quest to find extra terrestrial life. The new method uses an instrument to look for the presence of oceans on the planet's surface. Oceans give a planet a blue hue that changes shades--like Earth--and that will help theorize whether or not that planet supports life. The technique involves analyzing the reflected light of the planet, which would be red for land masses and blue for water. The problem is that only the light reflected from the equator is picked. The catch is if a planet has a near solid belt of land at the equator and oceans at the poles, it might be considered a desert planet. Thus there is room for development of future larger telescopes to give a more precise picture of the distant planets. This study is to be published in the August 2009 issue of Astrophysics Journal. A study published in the May issue of the International Journal of Systematic and Evolutionary Microbiology shows that biological treatment is effective in cleaning cholesterol, the contaminant which is a major component of urban sewage residues and very difficult to treat. A cholesterol eating bacteria has been isolated from sewage sludge which could help reduce cholesterol contamination. While the bacteria, Gordonia cholesterolivoras, can break down the steroid in sewage, it cannot be used to remove cholesterol in humans as it causes harm. The research team is working on synthesizing industrially useful strains of this bacterium which can be used in pharmaceuticals. Mockingbirds can be vindictive. In a study a volunteer would disturb a nest for four days and the next day a new volunteer would repeat the process. It was found that the birds remembered the humans that were harming their nest. Their reactions on seeing that individual on the third day would be more aggressive than on the first day. While the birds were unaffected by everyday crowds, they could perceive a risk if someone approached the nest intentionally. 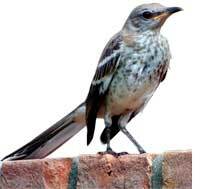 The study, published in the May 18 edition of the Proceedings of the National Academy of Sciences shows that the ability of mockingbirds to identify threat probably lends to their success in adapting to human environments.